It’s no secret that we adopted 3 boys a decade ago. Looking back on the long and invasive process that often made me feel like I was an errant schoolgirl giving evidence of playground tomfoolery, we nearly fell at the first hurdle. My husband found the intrusion very difficult and repeatedly having to go over and over and over previous deaths in the family and how that made him feel seemed more appropriate to a crime interrogation than finding out if we were possibly going to be good parents. Birth parents don’t have to undergo such intrusive techniques or trickery to try to catch you out in case you are lying and I know there are good reasons for trying to spot the chink in the armour of every prospective adopter, but it doesn’t make the process any easier to go through. I found IVF much more simple and with less stress and worry than the adoption assessments. I became obsessed with whether our house was clean enough for social worker visits, and whether I had just the right amount of biscuits to not be classed as a potential over feeder. I cleaned the spare rooms before every visit, just in case it would be the week they would ask us without warning to have a look at the rooms that children would live in. The medicals the financial assessments, the family skeletons discussed – nothing was left unvisited. I felt under scrutiny in all parts of my life. Family was visited, friends were visited, and each time I worried they might recite some long forgotten incident from my youth that might have me seen as unacceptable to adopt. Long phone calls afterwards asking what they said, how it was said, and how did the social worker take it ensued, and I am sure I must have driven my references absolutely mad with my questions. By the time we reach adoption, most of us have finished with the long rounds of treatments and invasive technology to try to have our own birth children. There are those who adopt to add to their birth families, but for the most part, the majority of adopters and potential adopters I’ve known have been people who couldn’t have children naturally. I’ve been told I am lucky to have adopted, yet those same people don’t understand that adopting children is only the first real rung on a possibly very difficult to climb ladder. The children might be still with birth parents, languishing in children’s homes, with foster parents, or they might have already been to one set of parents and rejected there too. There are few babies up for adoption that haven’t suffered trauma, alcohol or drugs while they were in the womb, or with the after effects living with birth parents and it’s only right that we should have some preparation of what life might be like. 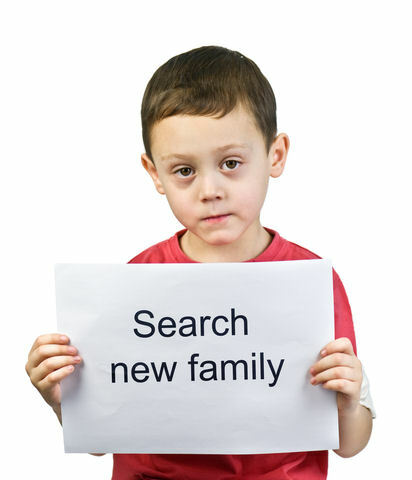 For some adopters, receiving their child or children might go smoothly at first, and it might stay like that for ever. For the majority, there will be a lifelong commitment to children who will need help to understand their past and their new future. There are so many considerations that birth children wouldn’t face, but the support is very lacking for parents that take children who struggle. Imagine the older children in foster care, or children’s home waiting for a forever family that might never happen. What does that say about us as a nation that so few of us actually take the plunge and bring a child into our families and homes? For many, adoption is by no means easy. There are so many considerations to take into account. For us, we’ve recently been exposed to some birth family through the wonders of Facebook. We’ve met lots of siblings, for whom the process has been positive, yet it could have gone so differently. My children, a teen and two rapidly approaching the teenage years have lots of questions, worries and stressors. I don’t love them any less. My boys are growing tall, their blonde hair floats in the wind with their blue and grey eyes. They look like my husband so nobody ever guesses they are adopted, yet they have no problem telling people about all their brothers and sisters. I’m ok with that, but other adoptive parents have to think about how they are going to cope with it as their children grow. Our assessment seemed to be just like the pregnancy of a woman. One bad experience of labour doesn’t put women off getting pregnant again and again and again. In the same way, I’d do the same thing again, no matter how difficult it can be with one of my boys diagnosed with Foetal Alcohol Syndrome who is unpredictable and often aggressive for no reason. I’d do it all again if I was in the same situation and the world needs more families who are willing to change their lives and make a very real difference to a child in waiting, waiting for that forever family they can call their own. A family friend has just adopted a wee boy and the rules and regulations are ridiculous. I always thought the idea was to treat them as “normal” families treat their children. But she is not allowed to feed him this or that, he must have his 5 a day he must have so much of this and none of that etc. Feel it is a shame when decent people want to adopt but cant cos they are in the wrong job, or dont have quite enough money, or live in a posh enough area. Surely the fact you can love them and interact with them and give them a good life should be more important. My kids grew up living in “an area of deprivation” and we had little money but nobody judged me or took my kids away cos I was not rich enough or posh enough. Those sort of rules are normally laid down at fostering level, so am surprised as adopters they are subject to them. After the adoption was finalised, we never saw any social workers ever again. Thank you for this. My very best friend has just adopted a little boy and is feling the pressure, much of which you describe. I have forwarded to her. The process is very intrusive and I just felt like shouting at them to stop going over and over the same things asked in different ways. Would have been easier if I’d not realised what they were doing I think.